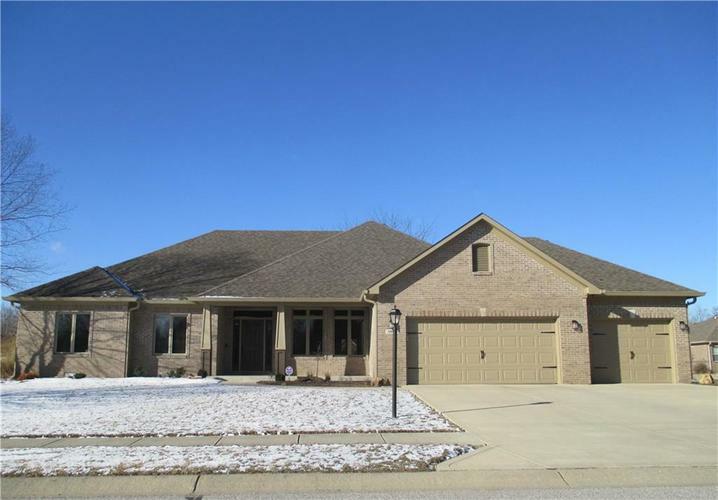 Fabulous 4 bedroom brick ranch featuring stunning entry, formal dining room with raised ceiling, big great room with gas fireplace. Nice kitchen with stainless appliances, plus a breakfast room. Super master suite with tray ceiling, his and her walk-in closet’s garden tub and separate shower. Beautiful woodwork and hardwood flooring. Laundry room, Finished three car garage, nice deck with trex type material. Super neat and clean. This home is a pleasure to show. Directions:TAKE CO 600E SOUTH FROM WEST MAIN STREET (US40) 2 MILES TO HICKORY WOODS DRIVE, THEN RIGHT TO HOME.